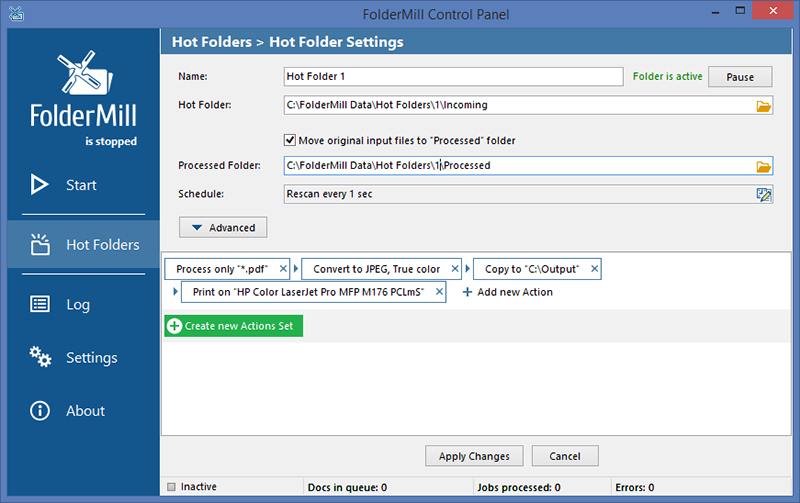 document conversion, document conversion server, pdf conversion server, print pdf automatically, hot folder printing FolderMill monitors a folder and automatically prints or converts to PDF, JPG or TIFF all new documents. Just define 'Hot folders' to monitor and set Actions to perform. Let office employees print documents or create PDFs as simple as copying files!